“Truck Yeah” is a rare moment of goofy self-referentiality on the otherwise straightforward Two Lanes Of Freedom. 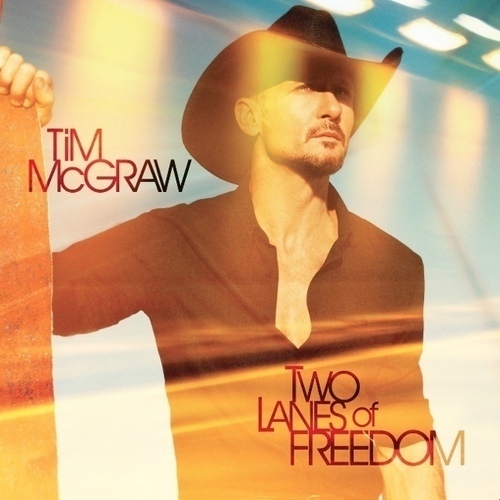 Mcgraw falls back on the familiar with the ballad “Friend of a Friend,” one of the album’s early highlights, where the singer works through gossip and half-truths about his former lover. The decidedly non-country details about her new life are as important as the pain they cause. She’s living in California and doing yoga, and the singer is less resentful of her new life than desperately jealous, of the changes she’s made, her ability to move on from a life a little too country. The anticipatory nostalgia in “One of Those Nights” is a ghost from several months back, when Taylor Swift stepped back to long desperately for the very own youth she’s in the very midst of on “22.” Swift’s presence on Mcgraw’s record is literal as well, and it’s hard to finish Two Lanes of Freedom without the echo of her refrain on the album-closing “Highway Don’t Care” still ringing. The final song is a reminder that the open road takes as many lives as it saves. It preserves Mcgraw’s “Truck Yeah” country way of life while letting others escape those very same constricts (“Friend of A Friend”). That’s the very struggle Mcgraw faces, as the singer spends Two Lanes of Freedom deciding whether to use his own stardom as license to rest on his Music City laurels or to ride free of expectations and challenge himself and his audience. For now, he seems happy questioning his decision to stay close to home without ever trying very hard to leave town.